What did the people of Boston do to inspire an annual gift of a 50-foot Christmas tree? On December 6, 1917, two cargo ships laden with explosives collided in the Halifax Harbour resulting in the largest artificial explosion up to that time. Boston authorities learned of the disaster and quickly dispatched a relief train with medical supplies and personnel. A 50-foot tree—the selection of which comes with exacting specifications—is sent to Boston as an annual acknowledgement and thank you from the people of Halifax. In Forestry news, BC and Canada reached agreement on how to protect caribou habitat; an Ontario NGO refutes a forest industry website called Caribou Facts; David Suzuki has a new documentary called What Trees Talk About; and Ontario’s Tree Seed Plant closure in Angus has some wondering where next year’s seed crops will be processed. Meanwhile, on the House and Senate wildfire bills: the Montana Wilderness Assoc. says the current funding method is bankrupting the agency; the Nature Conservancy says the legislation would reduce the need for transfers from nonsuppression accounts; and the Centre for Biological Diversity says the bill exploits the public’s fears of wildfire and guts environmental protections. Every winter, the people of Nova Scotia send the province’s best Christmas tree to Boston Common. What did the people of Boston do to inspire Nova Scotians to spend some $180,000 each year to give them a 50-foot spruce tree? The answer lies in a forgotten disaster. 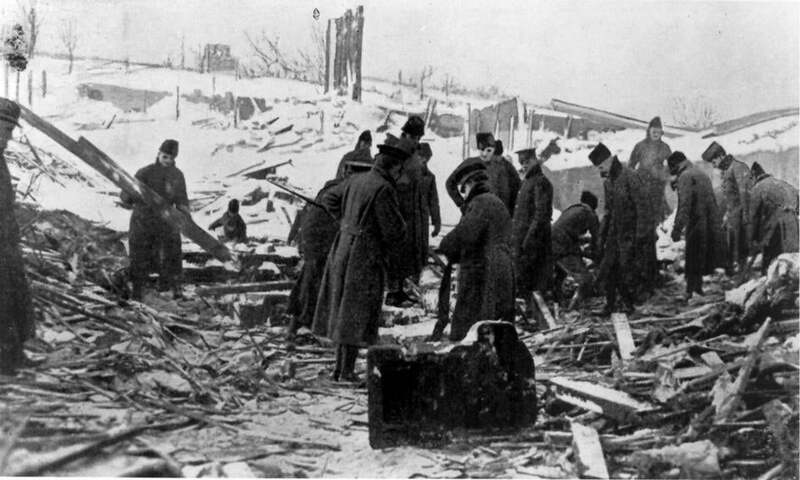 [The Great Halifax Explosion]. …When [Massachusetts] Governor McCall’s second telegram to Halifax received no response, he sent a third: “Realizing time is of the utmost importance we have not waited for your answer but have dispatched the relief train.” …On November 30 this year, the people of Boston will light the Christmas tree, a testament to a time when the worst the world could inflict brought out the best in two countries. The hard-earned friendship those days forged has stood as an example to the world for a century. Not even in Tokyo in the middle of the “largest ever” forestry-focused Asian trade mission could B.C. Forests Minister Doug Donaldson and industry leaders avoid talking about U.S. softwood lumber duties. Last week, during a mid-mission teleconference from Japan, Donaldson spoke of the importance of increasing B.C. lumber exports to China and Japan. But it was softwood lumber duties and the North American Free Trade Agreement (NAFTA) that dominated the discussion with reporters. The point of the mission was to expand markets in Asia for B.C. wood products to reduce the province’s reliance on the U.S. – which imports four times the volume of B.C. lumber that China does. Western Forest Products (WFP) was in the hot seat at the Regional District of Mount Waddington’s (RDMW) board meeting, where they faced a multitude of criticisms and questions from the board directors over the closure of the Englewood Train. “I won’t lie to you, I am really unhappy with this decision,” said Port McNeill Mayor Shirley Ackland. “The impact that this is having on the communities of the North Island is absolutely tragic and you are at the heart of that.” WFP announced the closure of its Englewood logging train on Nov. 7, which was headquartered in Woss, in favour of truck transportation. The company stated that of the 34 positions, the number of employees impacted is likely fewer than 15. …“We are looking at cost competitiveness as a key driver of our business and improving efficiencies,” said Vice President and Chief Forester for Western, Shannon Janzen, during her initial presentation. THUNDER BAY – For the second time in less than a week, Thunder Bay Fire Rescue crews were called to a Resolute property to help extinguish a small fire. 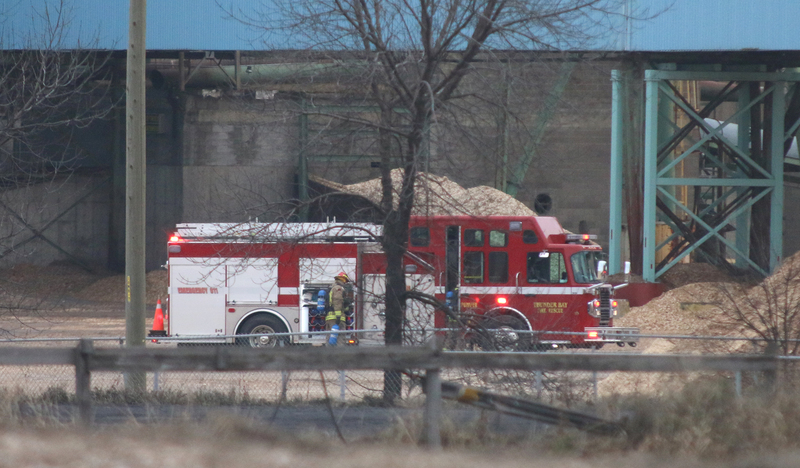 On Sunday just before noon, crews were called to the Resolute Forest Products paper mill on Neebing Avenue for reports of a possible structural fire. Arriving crews discovered smoke and called for a second alarm. According to Thunder Bay Fire Rescue, maintenance was being conducted in a dumping station and a small fire was started on a conveyor belt. …The fire did not cause any significant damage and there were no reports of injuries. From the walls of buildings to tables and chairs, lumber is all around. In fact, wood is the core of all the packages from online retailers and the padding that keeps baby bottoms dry at night. It’s even found in cigarette filters. But what companies do you want to own to invest in this ubiquitous material? Here’s how to invest in lumber, one of the most renewable resources in the world: Go directly to the source with real estate investment trusts (REITs) Weyerhaeuser Co., Rayonier Inc., and Potlatch Corporation. Weyerhaeuser owns or controls 13 million acres of timberland. It’s the largest private timberland owner in the United States. The REIT’s assets are spread across the country, with material landholdings in the southern, western, and northern regions. Interfor announced today that it will invest $46 million to upgrade and modernize it’s sawmill in Monticello, Arkansas. The project is scheduled to be completed in early 2019. The project includes the installation of new state-of-the-art machine centers in the sawmill as well as upgrades to the planer mill and one new continuous lumber drying kiln. 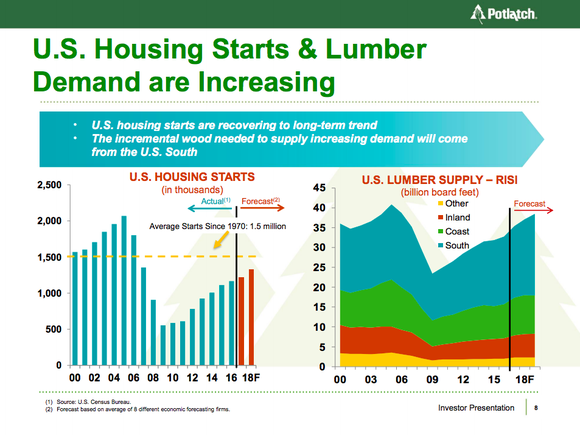 Annual lumber production is expected to double, in addition to improving product quality, product mix and mill efficiency. …Ian Fillinger, Senior Vice President and Head of Operations of Interfor, said mill leadership, employee performance, the local timber supply and rising demand for lumber made the project at Monticello a high-priority. One of Europe’s largest private sector forest owners and a major player in the bioeconomy, Bergvik Skog is undergoing structural changes as part of a plan to acquire new forest assets and secure its supply of feedstock. 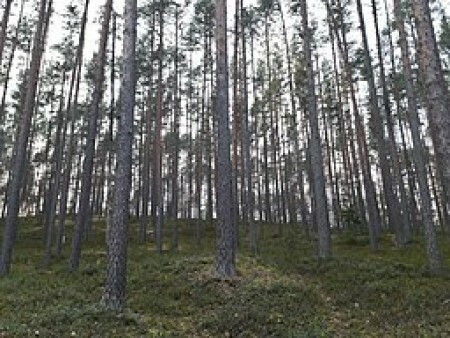 Bergvik Skog owns approximately 2.3 million hectares of land in Sweden and about 0.1 million hectares in Latvia. As well as certified wood fibre sales and leasing out land for hunting and fishing, Bergvik Skog contributes to the use of renewable energy through the production of biofuels from forest feedstocks. Shareholders representing 98% of the owners in the Swedish forest holding company have agreed to initiate discussions, based on a non-binding letter of intent, aimed at structural changes within the Bergvik Skog Group. 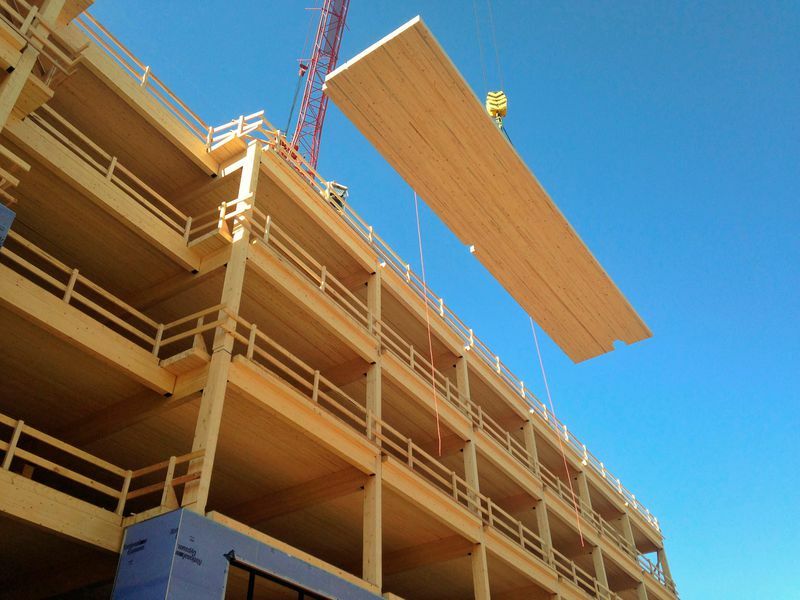 Developers are finding that wood-use in the construction of high-performance buildings saves money and time while also delivering more in terms of beauty, versatility and performance. Wood building systems and prefabrication of wood-frame components results in more timely, organized building periods. 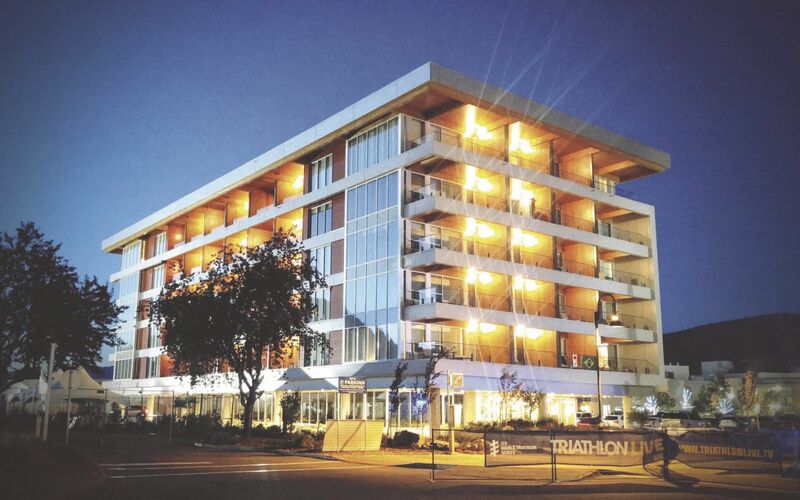 Recent Vancouver building projects with wood construction are setting the tone for sustainable innovation within the building industry, while cutting on energy costs and providing natural beauty for residents. Both The Heights and King Edward Villa feature concrete podiums, and five storeys each of wood-framed construction. With the King Edward Villa, the dense, urban location provided a narrow building site requiring a lot of the construction be completed offsite with prefabrication. This degree of off-site prefabrication is only possible when building with wood and it also reduced the construction schedule. It’s called mass timber and it’s become a construction game-changer in the Okanagan and beyond. Structurlam in Penticton makes mass timber called cross-laminated by gluing together layers of dimensional lumber in perpendicular patterns to create a light structural panel that’s as strong as steel or concrete. Structurlam’s prowess was praised this week during the Kelowna stop of the 2017 Wood Design Lunch series at the Delta Grand hotel. Close to home, the recently completed six-story addition to Penticton Lakeside Resort was made with Structurlam cross-laminated panels. And the world’s tallest wood building – the 18-storey Brock Commons student residence at UBC Vancouver – is also constructed with Structurlam cross-laminated panels. It was finished this summer and 400 students have since moved in. The governments of Canada and British Columbia have just announced an agreement to protect threatened mountain caribou in part of the province. This historic agreement between the federal and provincial governments is the first ever agreement reached under Section 11 of Canada’s Species at Risk Act. The agreement, which covers the Central Group herds located in the Northern Rockies and Peace area, will be a template for future agreements to protect the other groups of mountain caribou herds, including the southern herds in the Kootenays and Columbia region. …Without strong habitat protections, mountain caribou populations are expected to continue to decline, with many herds likely to be lost in the coming years. …“Logging, mining and recreation in the inland temperate rainforest add up to death by a thousand cuts for caribou. A recent report from the B.C. Ministry of Environment and Climate Change Strategy confirms what most people in Courtenay already know: that the city’s air quality is not up to par with the rest of the province. …The report confirms that the mean annual and daily levels of fine particulate matter (PM2.5) are higher in Courtenay than the B.C. average and exceed provincial objectives. …An emissions inventory for the Comox Valley was completed in March this year to identify the sources of fine particulates. The inventory found that 35.5 per cent of PM2.5 came from residential wood stoves and 45.4 per cent came from open burning. Eighty per cent of PM2.5 in the opening burning category came hazard abatement practices within the forestry sector. LA RONGE, Sask. — A man who admitted he started several wildfires in northern Saskatchewan by flicking lit wooden matches into the forest has been fined tens of thousands of dollars. Donald Halkett Jr. recently appeared in La Ronge provincial court and was given a six-month conditional sentence and ordered to pay more than $41,000 to cover the cost of fighting the fires. Halkett Jr., who is 22, pleaded guilty to mischief and failing to comply with a fire ban. He said he flung the matches while he was on a trail near his home community of Hall Lake in July 2015. Four fires erupted at the same time crews were trying to fight a larger blaze threatening La Ronge about 100 kilometres away. More than 13,000 people would be forced from their homes by the La Ronge fire and the military was called in to help. Tree seeds are of course critical to future forests. Management of high quality seed of known origin is crucial if our future forests are to withstand the impacts of climate change. 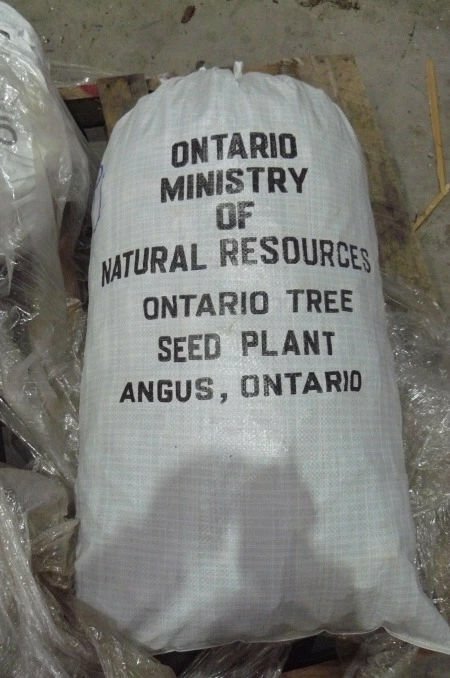 Despite this, the Ministry of Natural Resources and Forestry (MNRF) has decided to close the Ontario Tree Seed Plant (OTSP) in less than a year. …The shutdown decision came as a surprise – no analysis of other delivery or cost-cutting options, and no consultation with clients, stakeholders and the community. Historically, MNR seed program staff managed seed for government programs that annually planted over 100 million trees on Crown land in Northern Ontario, and up to 20 million on private land in southern Ontario. …The OTSP closure is a game changer – with the potential to be a game ender. …Where will next year’s seed crops be processed? A major seed distribution plant in Angus is being shut down by the provincial government. The Angus Seed Plant once provided all of the seeds used in reforestation efforts across the province. It currently operates at 20 per cent capacity. But come next year, Ontario’s Ministry of Natural Resources and Forestry plans to shut it down. 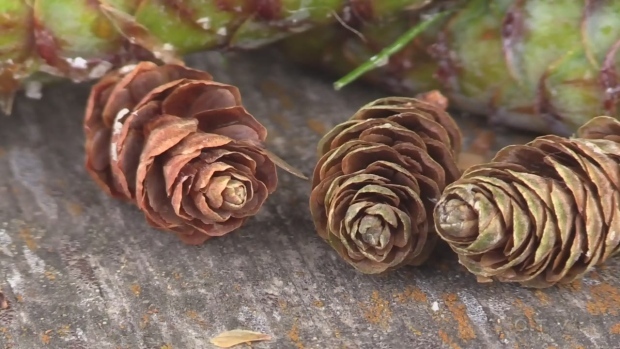 “We are going to be moving out of an industrial size plant to a native tree seed genetic archive,” says Ken Durst, regional services manager for the MNRF. “That’s going to be focused on biodiversity and climate change science.” The tree seed plant has been in operation since 1923. Seeds are extracted, sorted, tested and stored in freezers. I’d like to respond to Stacie Carroll’s guest commentary on forestry in the Nov. 17 Business section. Every forestry “crisis” that’s happened over my 43 years in this field has resulted in industry suggesting that what was needed is to educate the public in forestry. That this response is once again being put forward either shows how dense the public is or the poor job industry has done in “educating” us. First, the forest doesn’t “need” our help in providing its “successional development towards healthy, carbon-sequestering, wealth-producing ecosystems.” It’s the other way around. Left alone, the forest would return to a self-supporting entity of immense wealth on many fronts. 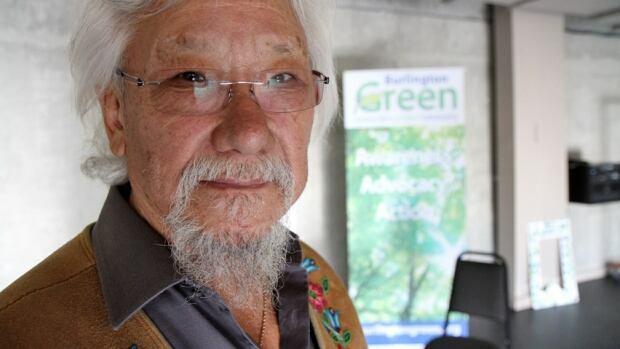 …I’m going to scream if I once again hear the phrase, “There are more forests in this province now than there were 100 years ago.” Of course there are. BATAWA — Managed forests are important to Ontario’s landscape but “undervalued by government,” an expert told participants at Friday’s 28th-annual Trenton Woodlot Conference. Presented by the Hastings Stewardship Council and partners, the conference was a chance to learn about forestry but also many related fields. Booths included woodworking for sale, conservation groups, public health information about ticks and lyme disease, and invasive species. “The woodlots are critical in this part of the country … I think they’re undervalued by government,” keynote speaker Dr. Warren Mabee told a crowd of more than 200 people in the Batawa Community Centre. Mabee heads Queen’s University’s Institute for Energy and Environmental Policy and is the Canada research chair in renewable energy development and implementation. He’s also a forester and woodlot owner. In an era of “alt facts,” perhaps we shouldn’t have been surprised with the content on the Forest Products Association of Canada (FPAC) new website, “cariboufacts.” It was designed to “inform” forest industry workers of the current state of caribou science and motivate them to write letters to the federal government to protect their interests. Their argument? Recovery planning for boreal caribou is moving ahead without enough information. While it isn’t clear if the website caught the attention of forest industry workers, it certainly caught the attention of scientists. In a fairly unprecedented move, some of the most prominent caribou scientists in Canada submitted a point-by-point rebuttal of FPAC’s website. While it now appears FPAC has since made changes to their website (the sufficiency of which have yet to be determined), the damage is already done. By Gabriel Furshong, Montana Wilderness Assoc. Last summer we learned that outdoor recreation in Montana accounts for $7 billion in consumer spending, supports 70,000 jobs, and generates $286 million in state and local taxes. Outdoor recreation is now far and above the biggest sector of Montana’s economy. That sector depends on public lands, especially those managed by the Forest Service. We learned these numbers while Montana was experiencing one of its most devastating fire seasons in recent memory, threatening our communities and the outdoor recreation economy those communities depend on. …The most urgent need is fixing how the Forest Service funds firefighting, because the current method is bankrupting the agency. …This leaves the agency unable to conduct forest restoration projects that protect communities along the urban-wildland interface and unable to maintain campgrounds, picnic areas, trails, and other outdoor infrastructure. More than 500 black bears have returned to parts of their historic range in the Great Basin of Nevada where the species disappeared about 80 years ago, scientists say. A new study says genetic testing confirms the bears are making their way east from the Sierra ranges north and south of Lake Tahoe along the California line. …”The recovery of large carnivores is relatively rare globally,” said Jon Beckmann, a conservation scientist for the Wildlife Conservation Society in Bozeman, Montana. …Black bears were prevalent across most of Nevada during the 1800s but had been devastated in the Great Basin by the early 1900s, primarily due to unregulated hunting, conflicts with livestock ranchers, logging and overgrazing. Over time, bears have benefited from a reduction in logging, combined with improved land management practices and an emphasis on conservation, the study said. The 2017 wildfire season burned nearly 9 million acres across the United States, killing dozens of people, consuming $2.9 billion in federal firefighting funds and costing billions more in property damage. But members of Congress are making things even worse by trying to exploit the public’s fears and misunderstandings of wildfire. 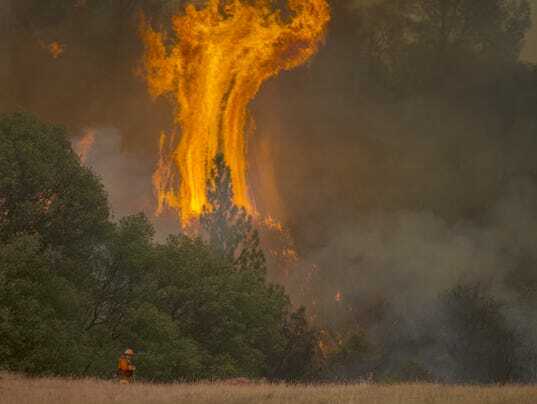 Under the guise of protecting us, some lawmakers are pushing bills that would harm public forests and wildlife, increase wildfire suppression costs, endanger firefighters, suppress public oversight and do nothing to make our communities safer. It’s especially disheartening to see U.S. Rep. Kyrsten Sinema align herself with the most extreme factions of the Republican Party and vote for the worst of these bills, H.R. 2936. Sinema was one of 10 Democrats joining Republicans to pass the bill last week. Doesn’t Sinema know that this bill is nothing more than a gift to the timber industry? By David Phemister, Kentucky state director, The Nature Conservancy. 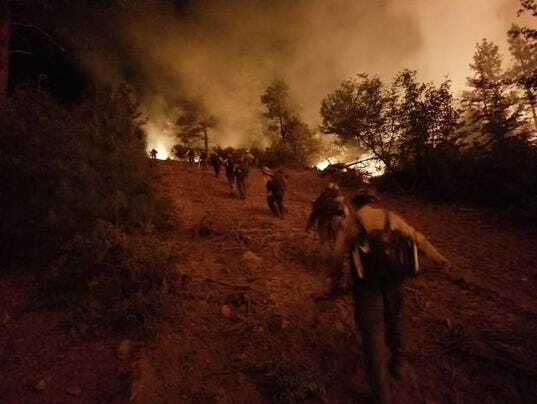 …While the priority is to save lives and property, agencies should not have to choose between fighting fire and investing in the health of our public lands. …There is a better way, and there is growing bipartisan consensus in Congress to act. The Wildfire Disaster Funding Act was introduced in the Senate this fall, and there is similar legislation pending in the House. This legislation would provide a comprehensive fire funding fix that stabilizes the growth of fire suppression in agency budgets, accesses disaster funding for extraordinarily costly fires, and significantly reduces the need for transfers from nonsuppression accounts and programs during wildfire season. …The Nature Conservancy is part of a broad coalition – including sportsmen’s groups, business interests, and other environmental organizations – working to promote a comprehensive fire funding fix. A letter signed by over 100 scientists across the world, including professors at University of North Carolina, urged Gov. 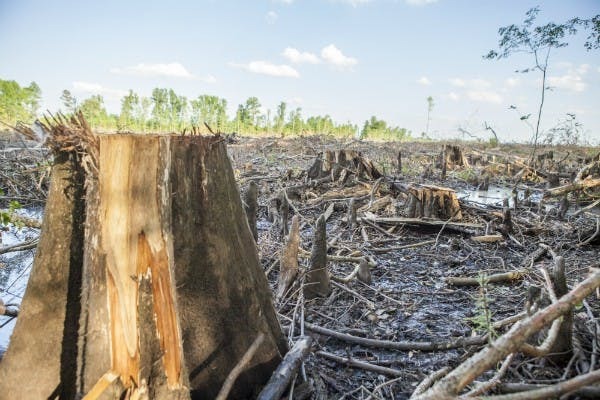 Roy Cooper to implement forest restoration in his climate action plan, and immediately address the environmental problems caused by the expanding wood pellet industry. Dogwood Alliance, a forest-protection advocacy group based in Asheville, penned the letter in response to a proposed wood pellet mill in Hamlet. Enviva, the world’s largest producer of wood pellets, looks to make this their fourth facility in North Carolina alone. These wood pellets would be shipped to the United Kingdom, where they would be burned for biofuel as an alternative to coal. The idea is that burning wood can be a carbon-neutral, renewable energy source, as trees are one of the most effective absorbers of carbon from the atmosphere. The scientific community calls this a false assumption. 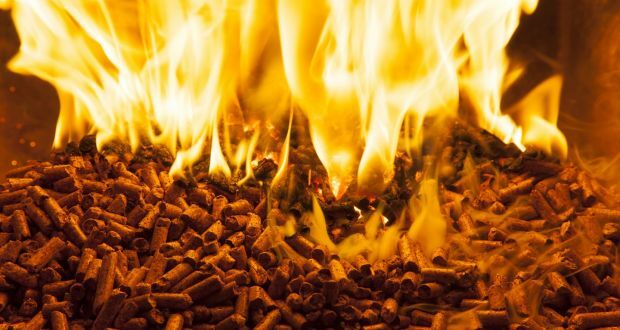 State energy company Bord na Móna will shortly seek Government approval for its plan to spend €60 million building a wood pellet factory in the US, it is understood. Last September, the State company announced that it wanted to spend €60 million building a plant in Georgia that would turn willow trees into pellets to be exported to the Republic as fuel for electricity generators. Such a move requires approval from Minister for the Environment Denis Naughten. Bord na Móna is likely to seek this backing shortly. The company said that it was working on the business case for potential investment in a wood pellet manufacturing plant in the US. …When it announced the Georgia plan, Bord na Móna explained that there was a shortage of biomass – wood and plants burned as fuel – in the Republic, forcing it to look abroad for supplies.